"Conference notes that Metropolitan Police statistics show that gun crime in London increased by 42% in 2016/17. Conference also notes that the same statistics show knife crime in our city jumped by 24% in the same period. Conference further notes that in 2017 in Newham alone, by 23rd October, 24 young people have been shot or stabbed so far in 2017, resulting in five deaths. In addition, one young man has died in police custody. 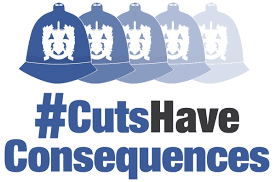 Conference believes that the impact of the £1.7 billion cuts in police funding that the Mayor of London estimates has occurred over the last 10 years has had a major impact on the Metropolitan Police’s ability to combat crime, as have the unprecedented cuts on youth services. Conference calls upon Labour to campaign to have these cuts reversed. Conference also calls for London Labour to push for the next Labour Government commit to investing in the future of our young people by resourcing councils and the voluntary sector to deliver high quality youth provision, non-formal education programmes and anti-gang diversion programmes, as well as providing the resources the police need to deliver proactive community engagement work".